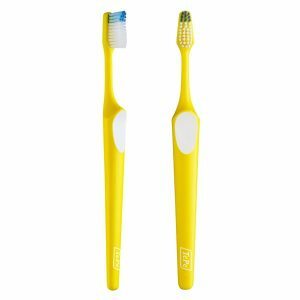 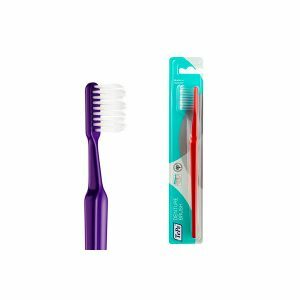 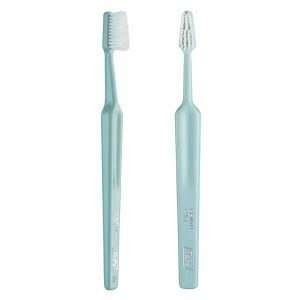 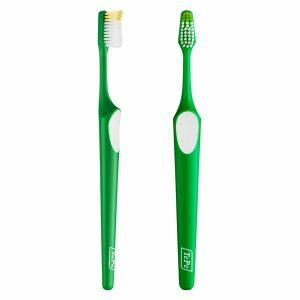 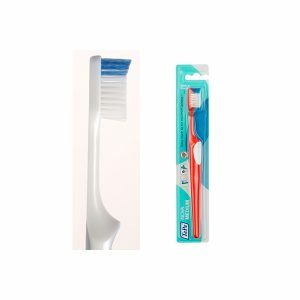 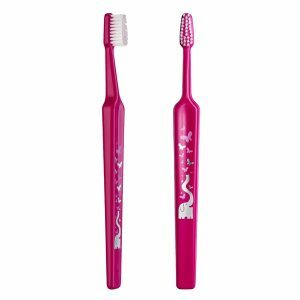 Toothbrush with a unique design for easy access of implants and fixed orthodontic appliances. 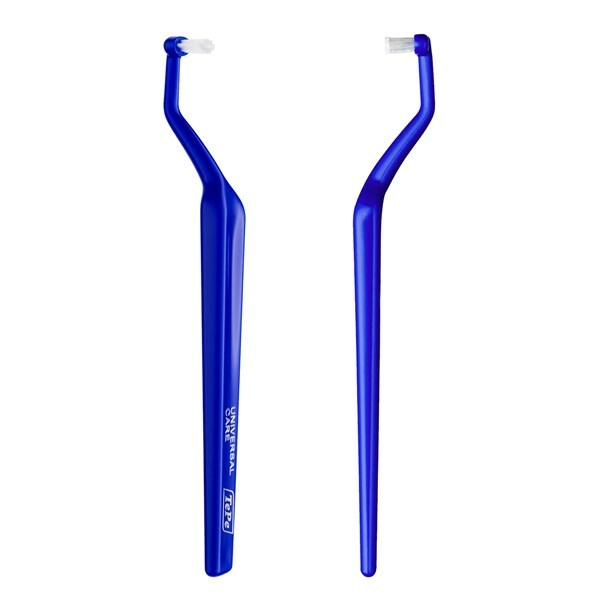 Unique ‘hooked’ angle of the neck for great access to difficult to reach surfaces of implants, particularly on the lingual/palatal anterior (behind the front teeth, on the tongue/roof of mouth side). 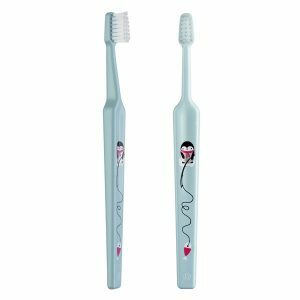 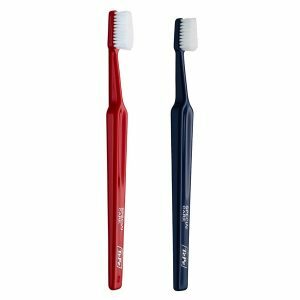 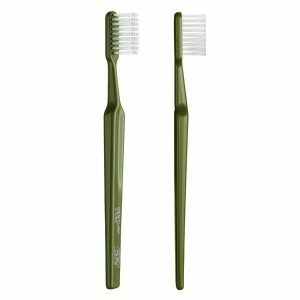 Slim shape of the brush head enables cleaning even in very narrow areas. 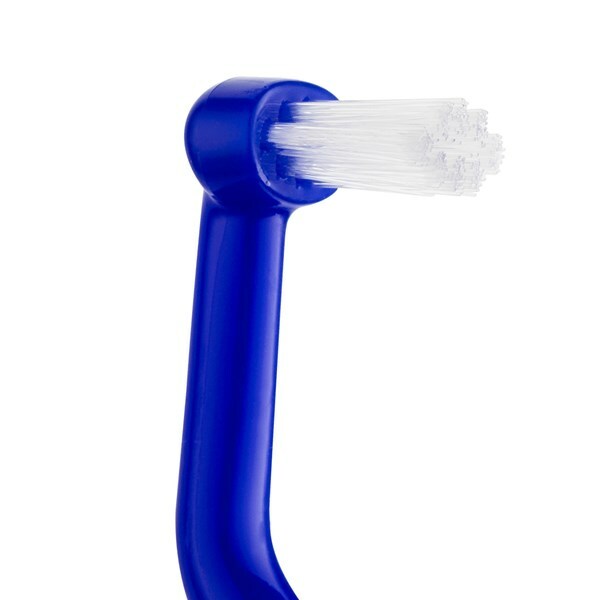 Soft, end-rounded filaments ensure a gentle clean.